Self-Etch adhesive system for ALL direct and indirect restorations. Made in Germany quality, no postoperative sensitivity and excellent bond strengths to dentin and enamel. 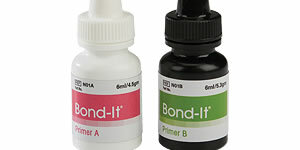 Bond-1® is the simple-to-use 5th generation single bottle bonding system from Pentron® Clinical Technologies. With years of clinical success since its launch, Bond-1® receives top ratings in numerous independent Evaluations. 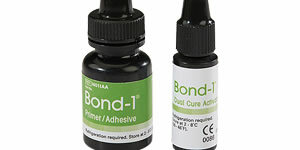 Bond-It System is a 4th generation total-etch bonding system that offers a reliable technique proven over time. It is a perfect choice for dual and self cure composites and bonding under amalgam.